More than a quarter-century ago, the last great wave of coeducation in the United States resulted in the admission of women to almost all of the remaining men's colleges and universities. In thirteen original essays, Going Coed investigates the reasons behind this important phenomenon, describes how institutions have dealt with the changes, and captures the experiences of women who attended these schools. Informed by a wealth of fresh research, the book is rich in both historical and sociological insights. 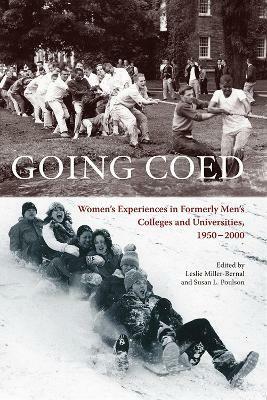 It begins with two overview chapters - one on the general history of American coeducation, the other on the differing approaches of Catholic and historically black colleges to admitting women students - and then offers case studies that consider the ways in which the problems and promise of coeducation have played out in a wide range of institutions. One essay, for example, examines how two bastions of the Ivy League, Yale and Princeton, influenced the paths taken by less prestigious men's colleges.